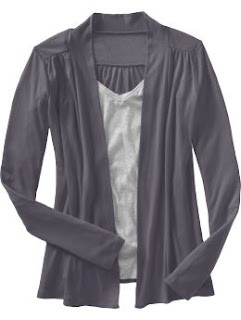 Just ordered this open-front cardigan (in lead pipe) from Old Navy (now only $17!). I love the way it drapes (or rather, I love the way it looks like it will probably drape). I'm in need of some new sweaters/wraps/layers, and I'm adding this one to the collection.